DONG joined Watsi on June 24th, 2016. 29 other people also joined Watsi on that day! DONG's most recent donation supported Allent, a farmer from Malawi, to fund prostate surgery. DONG has funded healthcare for 10 patients in 8 countries. Allent is a 73-year-old man from Malawi. He has a large family, with 14 children and ten grandchildren. Allent works as a farmer to support his family. In his downtime, he enjoys chatting and playing with his grandchildren. For the past year, Allent has experienced uncomfortable urinary symptoms. It was determined that Allent needs prostate surgery to treat his condition. On March 14, Allent will undergo surgery at Nkhoma Hospital, our medical partner's care center. Our medical partner, World Altering Medicine, is asking for $733 to fund his surgery and accompanying hospital, physician, and medication fees. "I am very thankful to Watsi," says Allent. 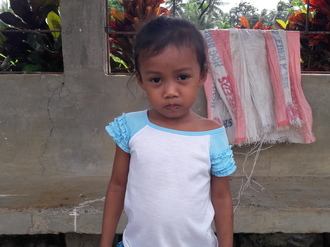 Meet Lorraine, a four-year-old girl from the Philippines who lives with her parents and loves to play with her friends. Their bamboo house does not have any electricity or running water supply. Lorraine has been diagnosed with moderately acute malnutrition. Malnutrition threatens her growth and development and could even be fatal if not addressed. Fortunately, she will begin $184 malnutrition treatment on February 23. Lorraine will be treated by International Care Ministries (ICM), a Watsi medical partner. One out of five children under five in ICM communities is either severely or moderately malnourished. Worldwide, poor nutrition is associated with nearly half of all deaths in young children. In remote communities and urban slums of the Philippines, the lack of clean water and unclean environments add risk to potentially fatal childhood diseases. ICM’s home-based feeding program provides nutrient-enriched food packs to ensure malnourished children get additional food to regain normal weight and achieve optimum physical and mental development. After identifying a child as malnourished, staff and community volunteers make weekly visits to monitor this child’s progress. To help sustain the health of the child, ICM’s professional staff educate the mother, guardian, or other family members about proper nutrition, sanitation, hygiene, and organic vegetable gardening. "I want her to finish her studies and become a successful person someday," shares Lorraine's mother. "I look forward for positive results for her health with this ICM malnutrition program." Chamroeurn is seven years old and in the second grade. He has one sister and one brother. In April 2016, Chamroeurn fell off of a bed and broke his left arm. His parents brought him to a hospital, where doctors applied a cast. However, two days later, Chamroeurn experienced pain in his forearm. After another two days, they went to a hospital in another province, where doctors removed the cast and discovered skin necrosis (skin and tissue death). Doctors then fixated a nail in his left humerus to secure his bones and performed a skin graft on his left forearm to treat his wound. Since then, surgeons have removed the nail. Despite these treatments, Chamroeurn's symptoms have not improved. Chamroeurn was referred to our medical partner, Children's Surgical Centre (CSC), by a referral hospital in another province. He traveled for six hours with his uncle to reach CSC for treatment. He came to CSC with a diagnosis of Volkmann's contracture, a malformation of his left hand, fingers, and wrist. It is difficult for Chamroeurn to use his left hand, and he is in pain. On February 3, he will undergo repair surgery to release the tendons in his forearm. However, his family cannot afford his treatment. CSC is requesting $450 to help fund his surgery. After surgery, he will be able to use his hand easily again. Aung Kyaw is a 42-year-old husband and father of three children from a village in Burma. Over a decade ago, in August 2002, Aung Kyaw began to experience nausea, abdominal pain, and vomiting. After being admitted to a hospital in Rangoon, he was diagnosed with gastroenteritis, an intestinal infection that causes cramps and nausea. After receiving an IV line and oral medicines, he was discharged. However, over the next decade, Aung Kyaw's symptoms repeatedly returned. He visited numerous hospitals, only to receive the same diagnosis and the same medicines. Eventually, he realized that these clinics were not addressing the cause of his illness. 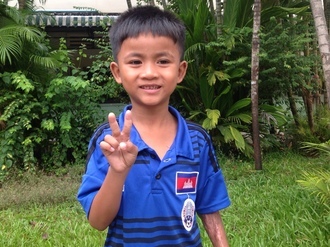 Thus, in July 2015, he traveled eight hours to visit our medical partner's care center, Mae Sot General Hospital. He was diagnosed with a tumor in his abdomen. He is scheduled to undergo a CT scan on December 8, and he will receive the results on December 15. Due to his health condition, Aung Kyaw has not worked for the past decade. His wife currently works as a rubber merchant, but her earnings are only enough to cover general family expenditures, and the family is in debt. For this reason, our medical partner is requesting $414 to fund this CT scan. Aung Kyaw hopes to be fully cured so that he can return to work in his plantation. "My wife has turned into so many colors in the past years," he said. "She turned pale when my condition got worse. She turned red when I had to visit the hospital, which meant our savings were gone. But if my illness is cured, she will become ecstatic and turn rainbow." 70-year-old Placidia lives in the hills of Uganda. She is a subsistence farmer who grows nuts, potatoes, yams, and eggplants. She feeds her family and sells the remaining food to support herself and her three children, whom she adopted when they were orphans. Placidia enjoys going to the market to sell her produce and buy clothes for her children. About 30 years ago, Placidia developed a uterine prolapse, an uncomfortable gynecological condition. Last year, she began to experience severe pain and discomfort, and she could no longer farm. On October 27, Placidia underwent a hysterectomy procedure. She needs help to pay for this $321 surgery. After recovery, she hopes to return home and send her three children to school. Placidia wishes the thank the people who will support her treatment. "May God bless you," she says. Carol Jean is a baby girl who lives in a small bamboo hut in a remote mountain community in the Philippines. Her family's home has no access to water or electricity. Her mother is a housekeeper, and she is very busy. Carol Jean has been diagnosed with moderately acute malnutrition. She has dry hair and a bloated stomach. Fortunately, she began $184 malnutrition treatment on October 18, 2016. Carol Jean is being treated by International Care Ministries (ICM), a Watsi medical partner. One out of five children under 5 in ICM communities is either severely or moderately acutely malnourished. Worldwide, poor nutrition is associated with nearly half of all deaths in young children. In remote communities and urban slums of the Philippines, the lack of clean water and unclean environments add risk to potentially fatal childhood diseases. ICM’s Home-Based Feeding program provides nutrient-enriched food packs to ensure malnourished children get additional food to regain normal weight and achieve optimum physical and mental development. After identifying a child as malnourished, staff and community volunteers make weekly visits to monitor this child’s progress. To help sustain the health of the child, ICM's professional staff educate the mother, guardian, or other family members about proper nutrition, sanitation, hygiene, and organic vegetable gardening. 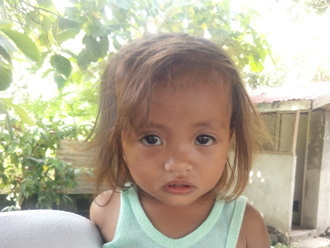 Carol's mother shares, "I hope that she will recover from malnutrition and become a teacher." Jharna is a three-year-old girl who lives with her parents and siblings in Nepal. Her father works in India and is away from home most of the time while her mother cuts wood in the forest and sells it in the market to make finances easier for her family. Recently, Jharna was sleeping on the bed when she fell down and fractured her right hand. Her hand has swollen and it has been painful ever since. She cries often and needs assistance to do basic day to day work like dressing her self, bathing, and so on. Jharna's mother took a day long walk to reach the Possible's hub - Bayalpata hospital. For $195, Jharna will be given a cast to heal her fracture. Let's help her raise the funds! "I hope that my son can grow and be a good teacher when he's big," shares the mother of 19-month-old Jeffry. Jeffry is the youngest of three children. He lives with his siblings and parents in a one-room adobe house with a tin roof in a rural village in the mountains of Guatemala. He loves to race his toy cars with his older siblings. His father works as an assistant to a bricklayer and his mother takes care of him and his siblings. They often live on less than $2 per day, meaning giving their son even just one piece of fruit, one vegetable, and one egg is out of reach. Jeffry is suffering from malnutrition because his parents have not been able to afford to provide him with a healthy and varied diet. His lack of protein, calories, and nutrients have made him nearly three standard deviations below the healthy size for his age. His body is weak and unable to fight off sicknesses, meaning he comes down with diarrhea, fever, or a respiratory infection almost every week. His mother is worried since lately he has not had an appetite and hasn't had the energy to play with his two older siblings. In the long term, Jeffry could have a lower IQ and a greater risk for chronic diseases if he does not receive treatment for his malnutrition. Growth monitoring, micronutrient and food supplementation will help Jeffry recover from malnutrition - immediately saving his life and putting him on track to live a better life in the future. All of this treatment and medication costs $512. He will gain weight and grow taller to catch up with other children his age. His immune system will strengthen with the increased caloric intake, preventing him from having any life-threatening situations with diarrhea, fevers, and cough. This will further increase his appetite and help him use the extra calories to develop mentally instead of those calories being wasted on getting over frequent illnesses. 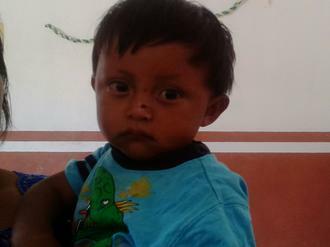 Jeffry's parents will receive the support they need to give him the proper diet to grow and develop healthily. Intervention now will prevent the future devastating effects of malnutrition, and give Jeffry the chance to live a healthy and productive life, finish school, get a good job, and escape the cycle of malnutrition and poverty that made him sick in the first place.